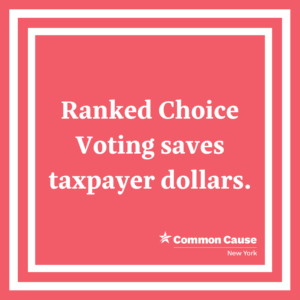 Ranked Choice Voting has the power to dramatically transform how New Yorkers vote, how candidates run their campaigns, and could potentially crack the calcified power structure in the city. 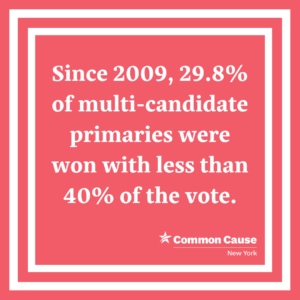 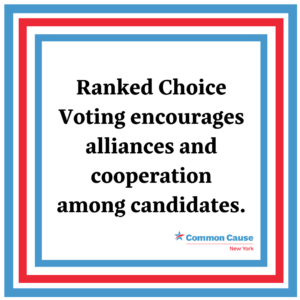 Ranked Choice Voting would avoid the troubling pattern of anti-democratic electoral outcomes in New York City: elections that are won with less than majority support and voters who are hesitant to vote their true preference. 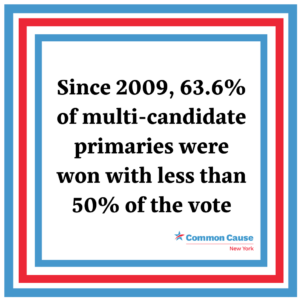 Get Involved & Spread the Word!